Some leading Bulawayo hotels have reportedly increased their rates by as much 350 percent ahead of the Zimbabwe International Trade Fair (ZITF) expected to take place next month. ZITF, the country’s largest trade showcase is set to take place between 23 and 27 of next month. Information obtained by The Herald Business showed that major hotels have significantly raised prices to take advantage of the expo, which traditionally attracts thousands of visitors. Most of the hotels are fully booked, although confirmations will be done upon payment. Holiday Inn Bulawayo has raised rates to RTGS$1 400 for a single room, from the current RTGS$325, while an executive room will cost RTGS$ 2 000 from RTGS$450. At the official US dollar exchange rate, the price for a single room will be about US$480. Indications are that Rainbow Tourism Group (RTG) and Cresta Churchill have also raised the rates ahead of ZITF. Bulawayo has only three conventional hotels under Rainbow and Africa Sun and Cresta. During peak periods such as the ZITF exhibition or big events, delegates at times fail to secure accommodation, resulting in people resorting to lodgings at individual homes. Individuals who let out their houses are also likely to take advantage and hike the rates. “It is ridiculous,” said a local businessman who booked at Holiday Inn. A senior official with a state enterprise also expressed concern over the rates, saying while the challenges facing local firms were appreciated, the hike amounts to profiteering. “We know that businesses do take advantage of peak periods just like the airlines. “But the increase is just too much. I see a situation where there would be high cancellations of the bookings,” said the official. Efforts to get a comment from the Minister of Tourism and Hospitality Industry Prisca Mupfumira, were fruitless. Tourism Business Council president, Winnie Muchanyuka, declined to comment yesterday. The ZITF is already planning to construct a five-star hotel and an 800-seater convention centre in Bulawayo after realising the untapped accommodation market in the city. This year, ZITF will increase exhibition space for the showcase to 50 380 square metres from 49 307 square metres in 2018 on the back of growing demand for bookings and this also translates to more demand for accommodation. 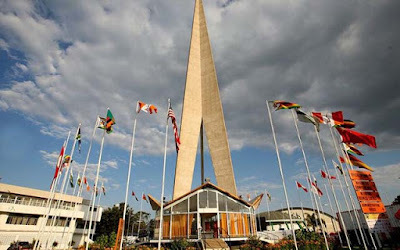 According to statistics revealed by ZITF, 85 percent of the exhibition space is already booked. 2019 will provide an ideal engagement platform for both local and international investors, offering consultative opportunities crucial for economic development. this year, comes at a time when Zimbabwe is on an economic reconstruction path with more emphasis being expended on re-engagement with the international community. This premier event is critical in advancing Zimbabwe’s overall goal of creating synergies with worldwide firms, thus a platform for local companies to exploit the interface by establishing trade relations. The last two days of the show will be open to the public while a set of events including ZITF International business conference hosted by National Economic Consultative Forum (NECF) on April 24, Confederation of Zimbabwe industries (CZI) manufacturers’ breakfast on April 27 have been lined up to complement the 60th edition of the exhibition. Botswana, Brazil, China, Ethiopia, Ghana, India, Indonesia, Iran, Japan, Kenya, Malawi, Mozambique, Namibia, Pakistan, Russia and Zambia are some of the countries that have shown keen interest in the annual event.